You believe in the Lord Jesus Christ. Whats next You have been told that you just need to believe but the devils also believe and tremble. 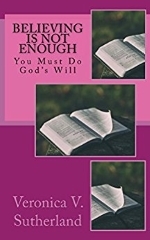 Inherent in believing God, is a willingness to do His will but the devils do not want to do so and are hell bent on ensuring that you dont either. 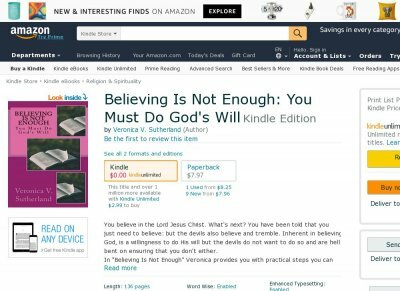 In Believing Is Not Enough Veronica provides you with practical steps you can take to enjoy a victorious Christian life.